My daughter loves having her face painted. She begs to have it done when she sees the artists out. She asks me to buy paint so we can do it at home. I’m overwhelmed by the thought of choosing a brush or sponge, mixing the paint to the right consistency, and then cleaning everything up. When the Snazaroo Paint a Smile for Summer Party was announced by Tryazon I applied right away. 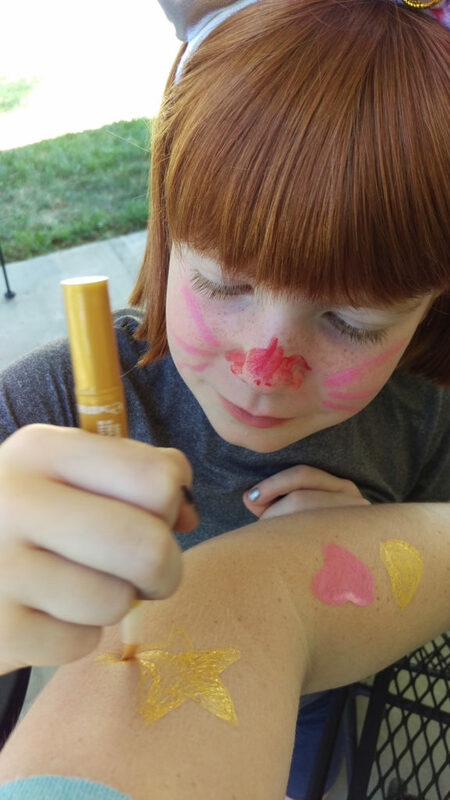 What a simple solution to enjoy some face painting fun! I had to try the Snazaroo Face Paint Pens. I was super excited to be selected to host a Snazaroo Paint a Smile for summer party through Tryazon on June 2. 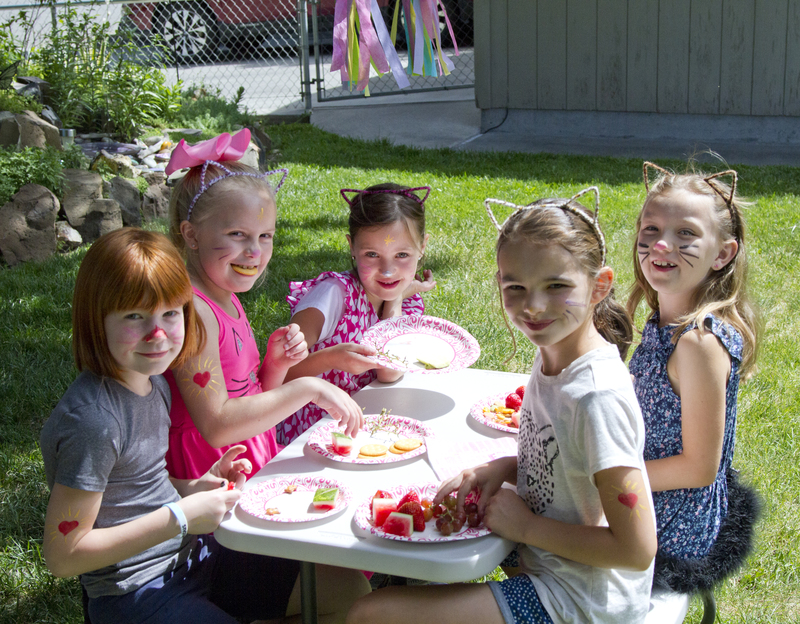 I combined it with my daughter’s cat themed birthday celebration we were already planning. It was a perfect match up. The party started off with a treasure hunt. I had written clues and puzzles that lead the kids around our yard. They got treasure of ears and tails on the way. I ordered the cute fuzzy cat ear headbands from Amazon. The tails were made from boas I had cut and name badge clips. The final treasure was the Snazaroo Paint Pens. The kids were so excited. We twisted the paint up to the brush tipped pens and the fun began. The pens were so simple to use. The kids enjoyed painting hearts, stars, and other designs for their friends. Of course, noses and whiskers were painted too. 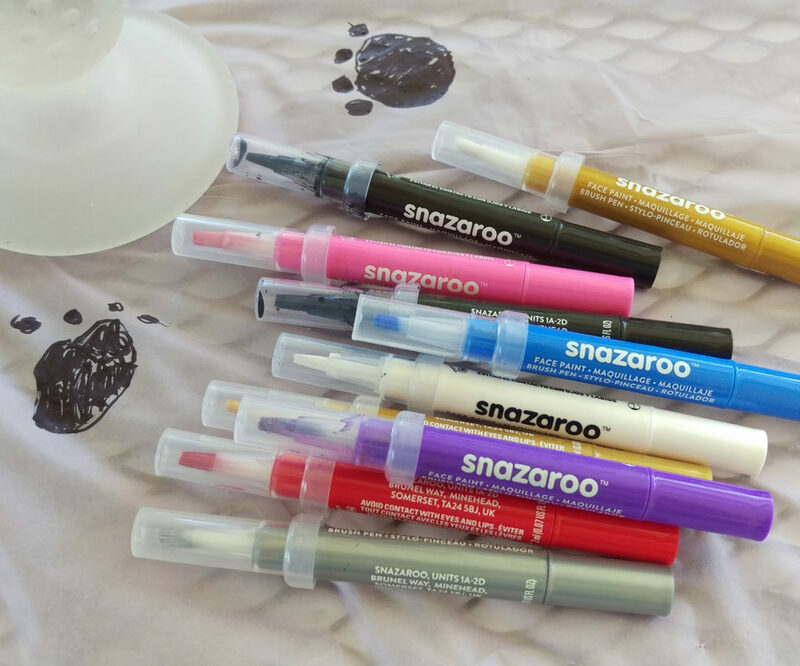 The gold and silver Snazaroo Face Paint Pens have a great shimmer almost glittery appearance to them when they dried. I prepared snacks fit for all the cats in attendance. 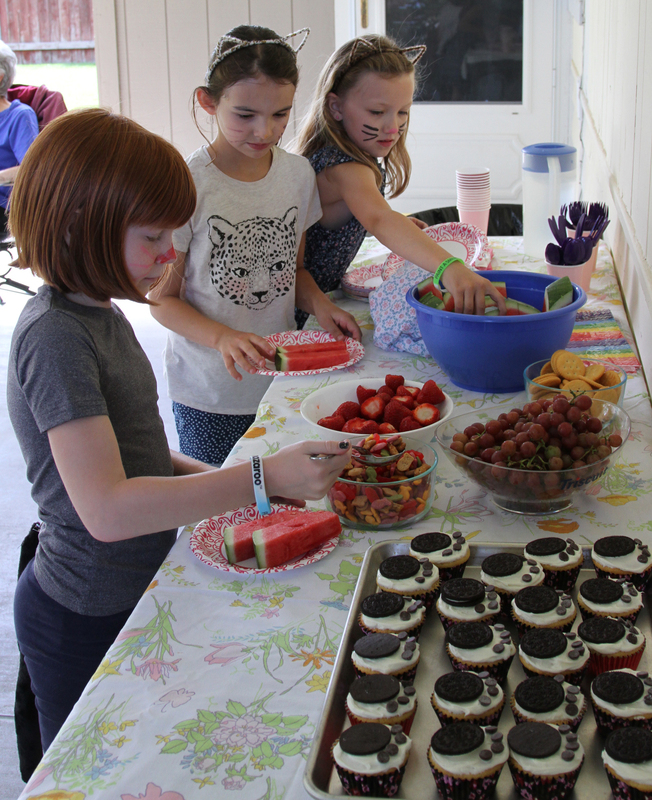 A trailmix of every kind of fish cracker plus Swedish fish, fresh fruits, and pawprint cupcakes. I left the pens out for the whole party. 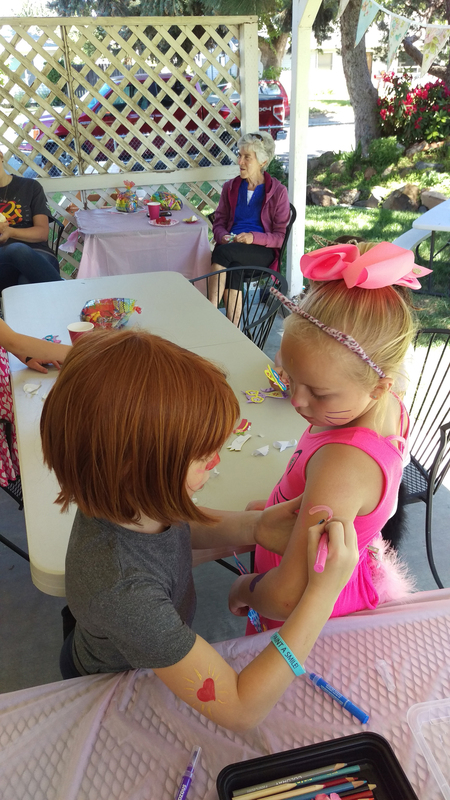 As the kids played and snacked they kept adding to their body paint designs. One girl painted her whole arm mostly black. I’m pleased to report that it all washed off easily with soap and water! 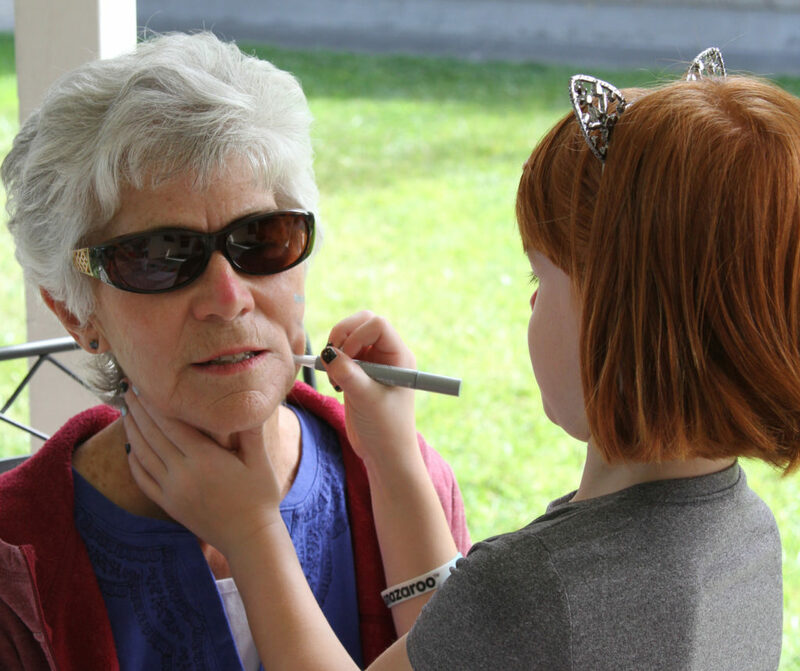 The adults even got in on the fun and let the kids paint their faces too. I have fairly sensitive skin and I did not react to this paint. Yay! 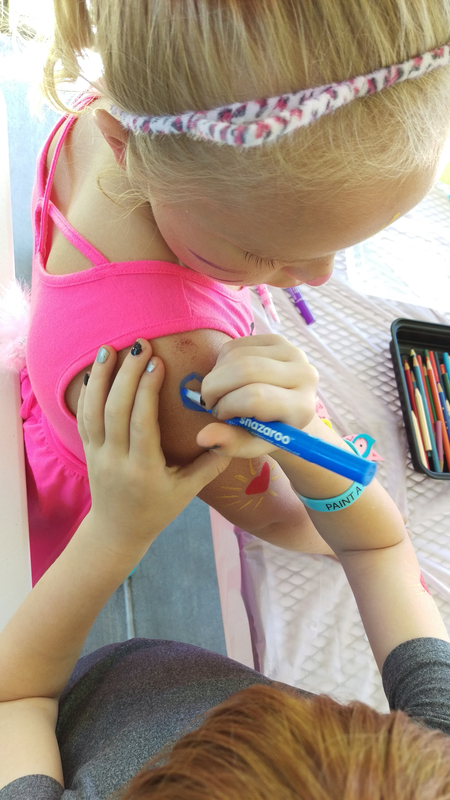 The kids were excited to each take home a Snazaroo Face Paint Pen of their own. What a great addition to a party. Thank you Snazaroo and Tryazon! 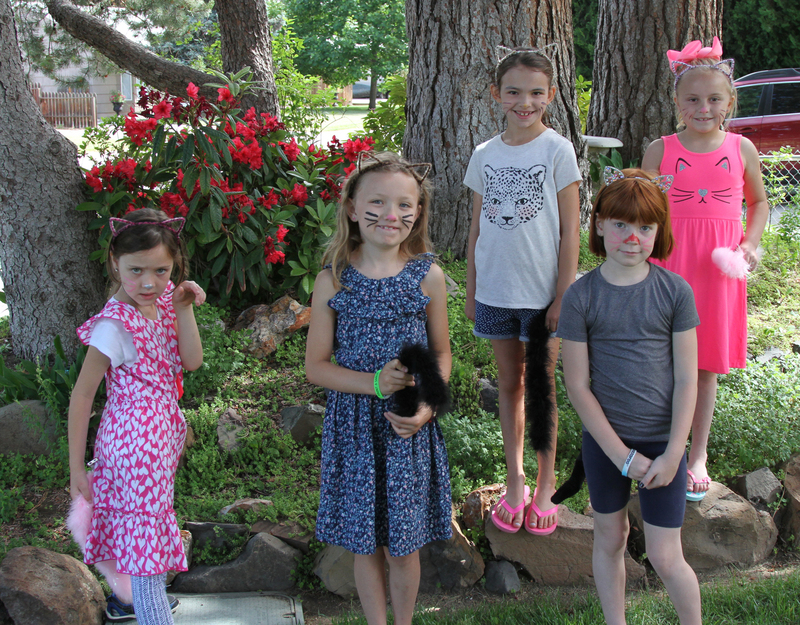 This entry was posted in crafty, family, webness by Amanda. Bookmark the permalink.